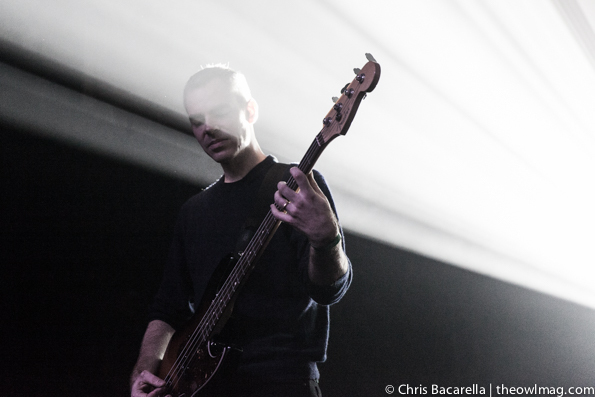 Fifteen years after the release of their first-and-only album, the recently reunited American Football sold out The Fonda Theatre on the first of two LA shows. A large part of the crowd must have been toddlers when American Football, the album, was released, and they were very excited to finally get to see American Football, the band. 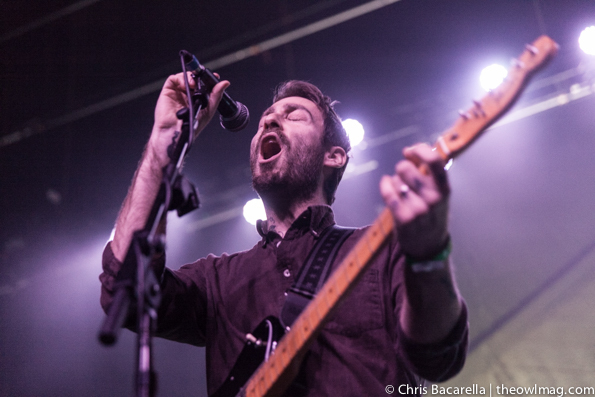 Naturally, singer/guitarist Mike Kinsella is in a different place in his life now than when he wrote the band’s tears-in-your-beer lyrics, but everyone took it in stride, including one audience member who shouted “I’m really sad right now!” after early number “The One With the Tambourine”. Feeling bad felt so good, though, as the band sounded supertight, and every song’s opening chords drew huge cheers. Halfway through the set, drummer Steve Lamos was left alone onstage, where he played an extended trumpet intro to “For Sure”, his shadowed silhouette providing a great primer for the ballad. Kinsella, whose other musical projects include the Owls and Owen, was an affable showman, at one point asking if the crowd had anything they wanted to talk about. 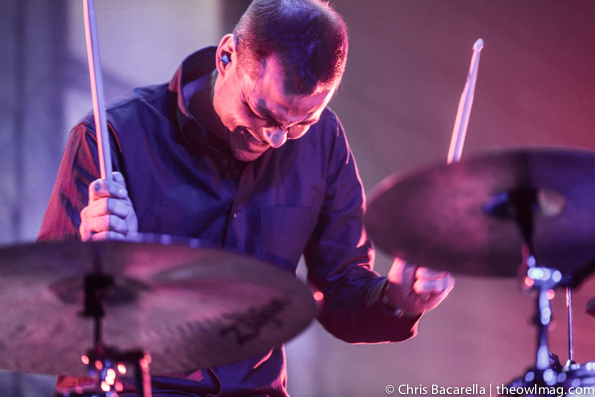 When asked about getting the band back together sooner, he replied “I didn’t know anyone liked us.” Two generations of fans have now liked American Football, though, and showed him how much they cared all night. After ending their set with “Stay Home”, the band emerged again to chants of “Steve! Steve!”, both for Lamos and guitarist Steve Holmes. Lamos created a looping trumpet riff and their touring bassist played a floor tom for the somber “The Summer Ends”. They closed the night with their LP’s opener, “Never Meant”. The crowd was pressed to the stage, and pumped their fingers to the sky, singing along loudly with every word. The guys in the band seemed touched and genuinely surprised by the love they got, smiling like the pride of Urbana, Illinois. 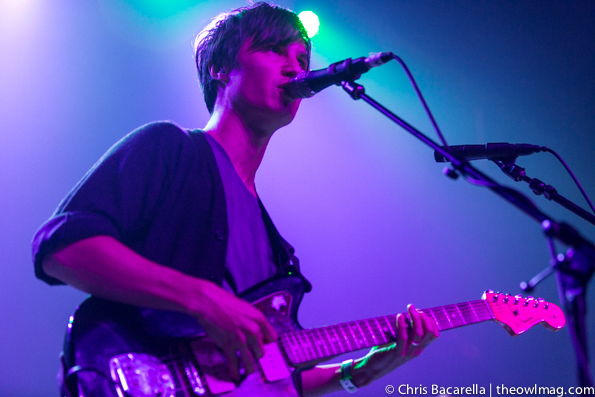 American Football’s labelmates The Dodos kicked things off on Saturday night, providing an opening that was a bit weirder, a bit more energetic than one might expect for an emo show. 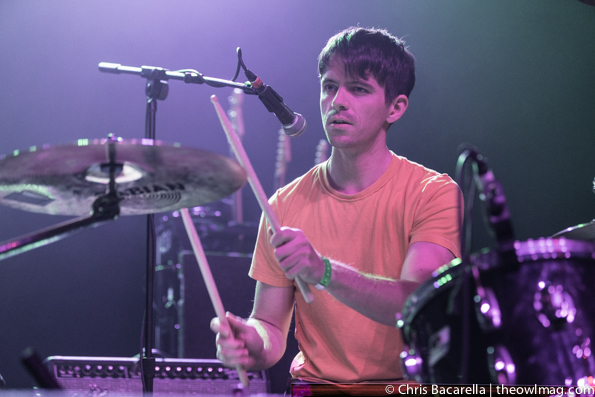 Drummer Logan Kroeber’s unique, tom-heavy rhythms drove the San Francisco two-piece’s sound into areas that flirted with dance-punk at times. 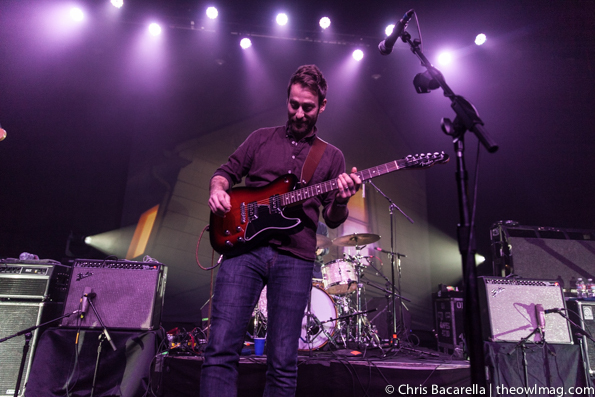 When singer Meric Long’s arpeggiated guitar lines occasionally let off the gas, the full crowd gave the guys appreciate “woo”s. 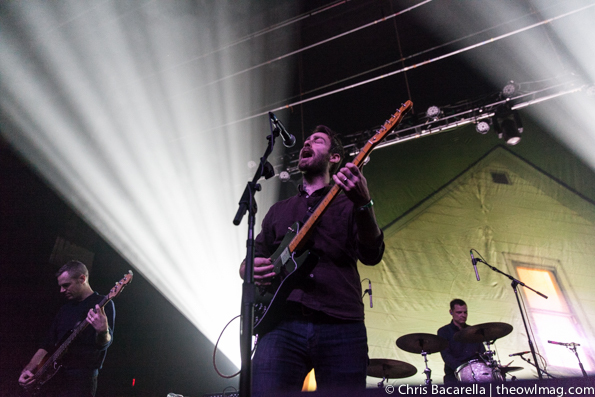 For most of their set, though, they made a fun racket, with “Confidence” making Long and some audience members shake their hips.